I'd like to say a big thank you to Penny Casey and all the fantastic Year 4s & 3s for giving me such a brilliant welcome when I visited Highgate Junior school last month. 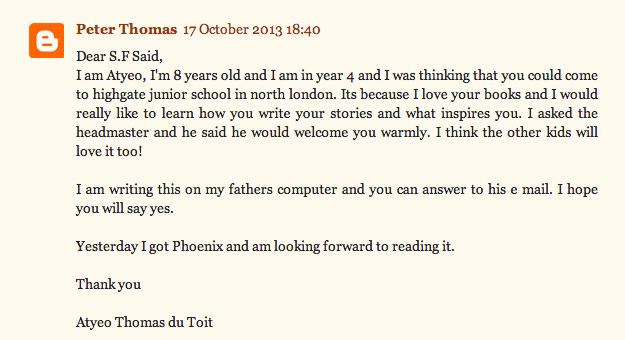 But I'd like to say an extra big thank you to Atyeo Thomas du Toit of Year 4, without whom the visit would never have happened! I thought that sounded great, and was delighted to organise the visit through the school librarian. It was a real pleasure to come and meet such brilliant readers, and to talk about writing and books. 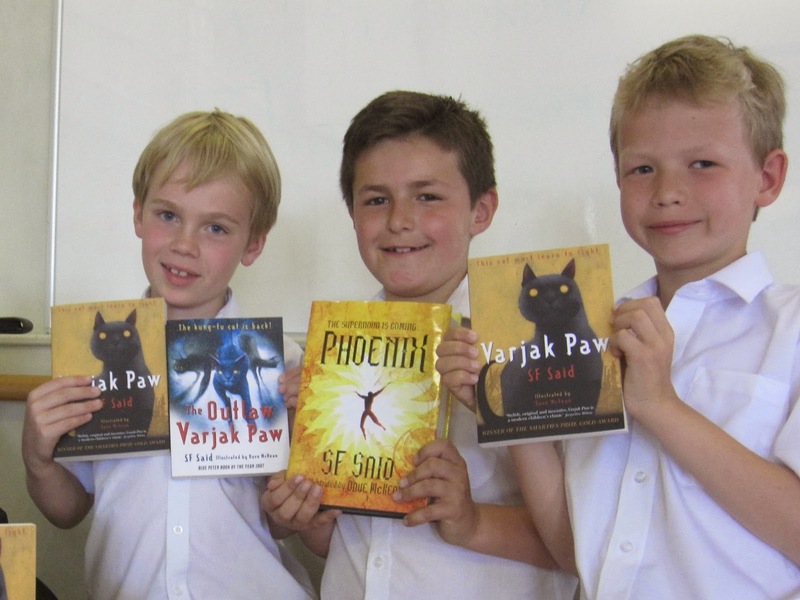 I hope everyone has been enjoying their copies of Phoenix and Varjak Paw... And if anyone else out there has read one of my books and would like to organise a visit – leave me a message, and it might just happen! Thank you for your comment! They were fantastic readers, and it was a real pleasure to visit them!